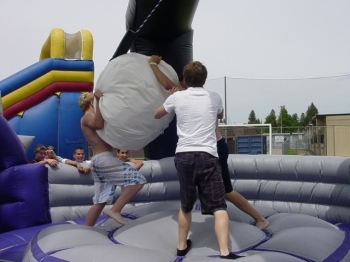 Wacky 4 player Inflatable demolition! Come in like a wreeeeeeckiiiing baaaaaall with this awesome interactive inflatable game. Will you be the last one standing when the wrecking ball strikes?